Overlooking the River Chelmer, these apartments are in a quiet, central area of Chelmsford. All of our apartments feature a fully equipped kitchen and a 42-inch plasma-screen TV with full Sky channel package. 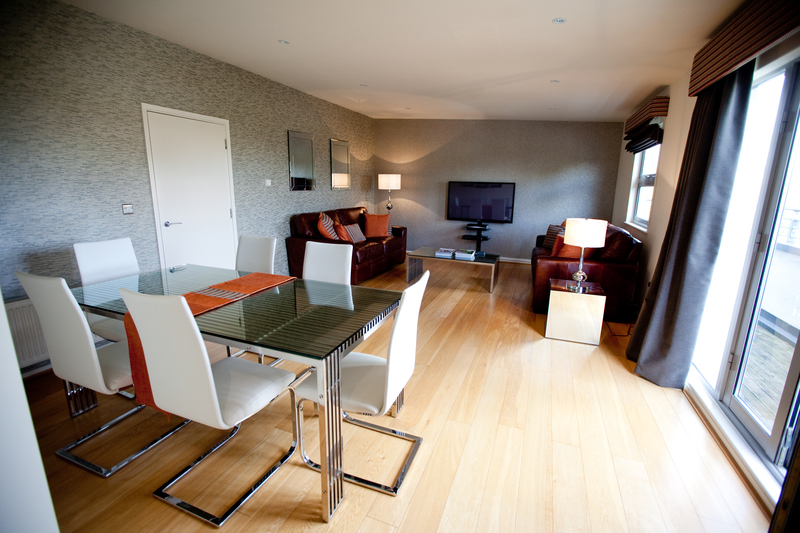 Chelmsford Serviced Apartments are 2-3 minutes’ walk from the Chelmsford’s best restaurants and cinema. Chelmsford railway station is a 6-minute walk. Each apartment features free wireless internet access, a fridge/freezer, laundry facility and a furnished sun deck. When renting a Serviced Apartment, what you would expect is ‘a home away from home’. This is exactly what we aim to provide here at Chelmsford Serviced Apartments. Located in the very heart of Chelmsford, we offer both 1 and 2 bedroom apartments, as well as a top floor Penthouse apartment. Each apartment is furnished to the highest quality, featuring a 40’ + TV with full Sky package, as well as free Wi-Fi. They also include a fully equipped kitchen area with a continental breakfast included, and secure car parking for 1 car per apartment. Free use of the local Nuffield Health fitness centre is also available, which is located only a short walk from the apartments. Being right in the centre of the city, they are perfect for both business travellers and people looking for a weekend break. They are within walking distance of the railway station, as well as the top restaurants and nightlife in the area.